The equipment is easy to use meeting the requirement of rental companies and contractors. Twin grinding heads driven by heavy duty gearboxes ensure high productivity and reliability. 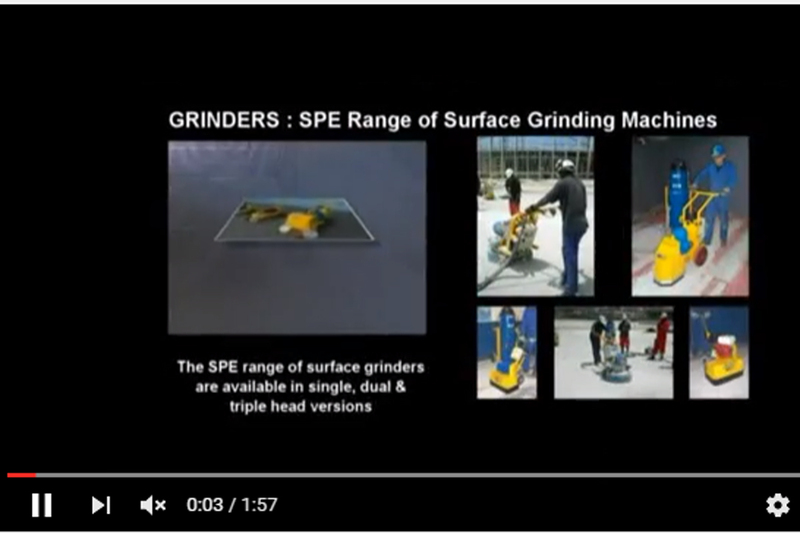 An adjustable dust extraction skirt provides dust free operation when used in conjunction with the SPE vacuums. The operators handle is fully height adjustable. The DFG 400 is supplied fitted with 2 no. standard drive plates allowing the floor grinder to be used with carborundum blocks, wire brush blocks and diamond blocks all held in by wedges. For specialist applications an adaptor plate is available to allow the fitting of various DFG 250mm diameter diamond grinding plates. Can use carborundum, wire brush and diamond blocks.